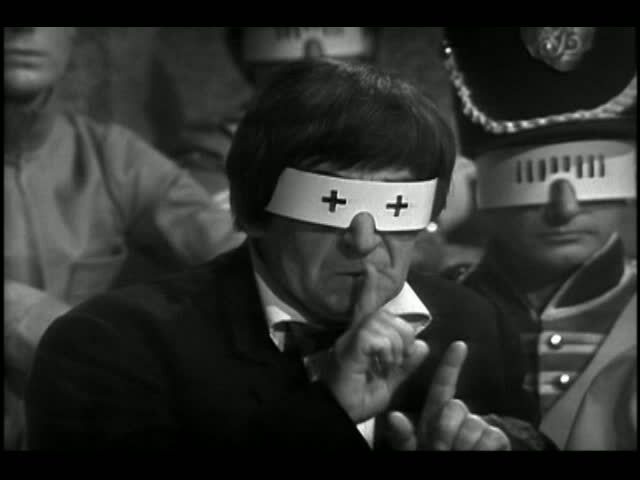 The seminar will comprise an introduction from Danny Nicol, a screening of the pivotal episode 10 of Dr Who’s The War Games (1969) and will be followed by a discussion. A new article by David Cunningham and Alex Warwick has just appeared in the most excellent journal CITY, vol. 13, no. 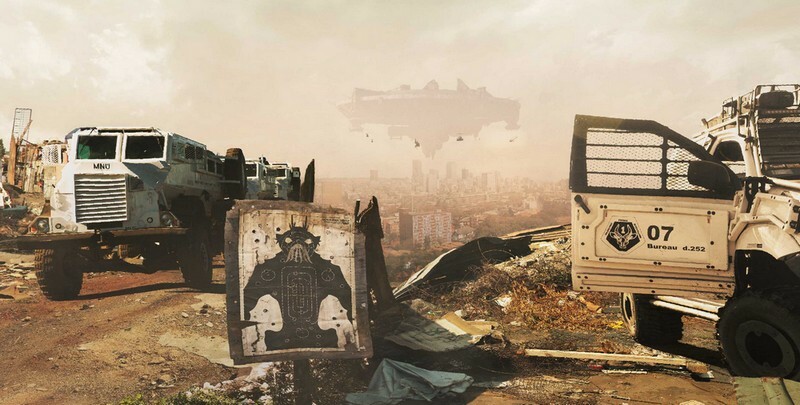 4: ‘Unnoticed Apocalypse: The Science Fiction Politics of Urban Crisis’. 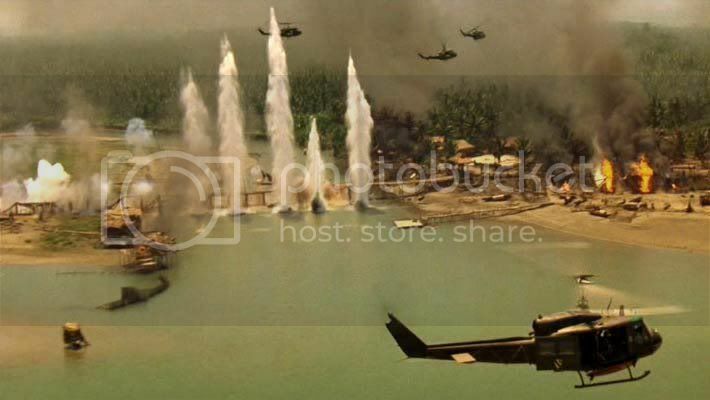 The essay ranges over a number of contemporary texts from The Coming Insurrection to Rem Koolhaas’ Junkspace to the film District 9. 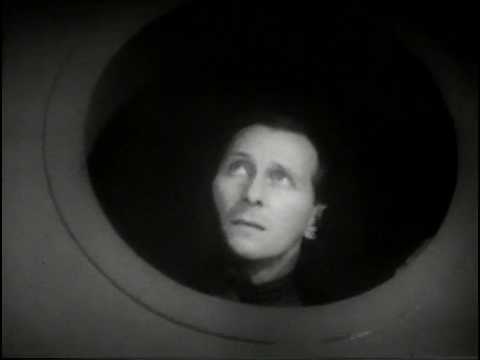 In analysing British cinema between 1945 and 1965, Tony Shaw (2001) argues that the influence of American cinema on British audiences was undeniable: ‘Hollywood films dominated the British market from the beginning to the end of the period and not to recognize the potentially significant role American productions had in shaping British perceptions of the Cold War would be misleading’ (p.4). Movies such as The Day the Earth Stood Still (1951), Invasion of the Body Snatchers (1956) and Forbidden Planet (1956) persist as potent symbols of an era which mixed fear of communism and nuclear war with utopian hopes for the technological conquest of other worlds. Whilst the political content of these popular films has been continuously reviewed by critics and scholars alike, the contemporaneous works of British filmmakers has received limited attention. In this paper, I will analyse a series of British films and television programmes which not only challenged or complicated the political content of prominent American SF productions, but crucially, made use of the speculative imagination to reflect upon the state-of-the-nation during a period of rapid technological and social transformation. As the first decade of the twenty-first century comes to a close, there is a growing critical awareness of the current fascination with alternative and future worlds in contemporary British fiction. In addition to the continuing popularity of – and growing scholarly interest in – speculative and genre works, an emerging body of “literary” fictions is revealing a wide-ranging preoccupation with narratives of apocalypse, transmigration and haunting. Writers like David Mitchell, Jeanette Winterson, Jim Crace, John Burnside, Marina Warner, Maggie Gee, Jon McGregor and Sam Taylor are thus shifting the parameters of realist literary fiction and its generic borrowings, and in the process articulating a shared concern with the question of temporality. We need to develop a new strategy of reading such fictions in order to examine the formal innovations executed by these visions of temporal alterity and futurity. This paper will outline a refunctioning of Ernst Bloch’s category of the “Not Yet” (Noch Nicht) in order to provide a methodological framework that can draw out the distinctly utopian implications that are prevalent in the contemporary British novel. This refunctioning not only reconsiders the relationship between philosophical discourse and narrative imaginaries, but also helps us outline the distinctive structural, thematic and stylistic characteristics shaping an emerging caucus of fictions. Both David Cunningham and Chris Daley will be participating in a panel on J.G. Ballard as part of the British Library’s Science Fiction Study Day, accompanying the exhibition Out of this World, on Friday 16th September. Other speakers include Mark Bould, Roger Luckhurst and John Milner. From utopian to dystopian visions, Futurism to Futurology, the participants will talk about recent projects that feature various aspects of science fiction discourse. Learn about the most recent research trends, methodologies and applications, and get inspired by the ideas and questions examined during the day. The programme for Apocalypse and its Discontents has been announced. See below the line for details. From her 1920s novels, influenced by Lawrence but aimed at the audience of Wells, to her subsequent deployment of modernist techniques for political ends, Naomi Mitchison may be considered a key intermodern writer. Her relentless pursuit of the ‘just society’, free from gender-based and sexual repression, made her a controversial figure even in that controversial decade. And her close literary associates of that decade – including Auden, Aldous Huxley, Olaf Stapledon, Stevie Smith, Wyndham Lewis and Walter Greenwood – suggest different ways of thinking about literary networks and cultural history in general. She was also a friend and supporter of Tom Harrison and Mass-Observation, for whom she kept a wartime diary. 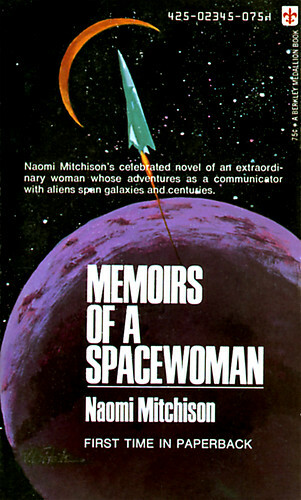 Nick Hubble’s paper analyses this intermodern work and investigates how it relates to Memoirs of a Spacewoman (1962), a forerunner of the 1970s feminist utopian science fiction of writers such as Ursula Le Guin, Marge Piercy and Joanna Russ. Rescheduled from last semester. Further details here. 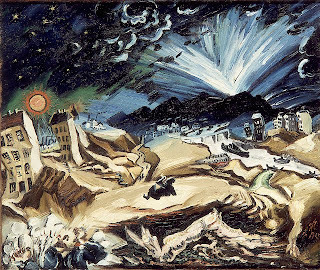 While visions of destruction and fantasies of the end have always haunted humankind, the modern period has been characterised by a particularly intense sense of concern and fascination with the apocalypse, especially during the twentieth century. Today we are surrounded by scenarios of imminent destruction and annihilation from politicians, scientists, religious groups, and writers, among others. This conference aims to explore and question the widespread appeal of the apocalypse, as well as to consider narratives that either challenge or offer alternative responses. The third and final part in a short selection of transcriptions of talks from the recent series on ‘The Future’ at the David Roberts Art Foundation. Here’s Stephen Melville’s paper, which constituted a fitting finale to the series. Is the future now? The two earlier discussions in this series that I was able to attend both seemed to turn quite strongly on a contrast between modern and postmodern representations of the future, more or less as they appear to line up with the contrast between so-called Golden Age and New Wave science fiction. It’s been hard for me, at least, not to hear bits of Beckett stammering in the background, so I was happy to hear Krapp’s Last Tape surface briefly on Saturday. The overall contrast seemed, roughly, one between a future fully distinct from the present and underwritten by a certain faith in science, and a future underwritten by technology and threatened with imminent collapse into the present (or, as one speaker put it, having the shape of an endless intensification of the present) – thus tending also toward a contrast between the utopian and the simulacral, as well as between progress and repetition, and – at least I’ve tried to suggest this – between a certain assumption of shared human being or community and a skepticism about other minds registered, among other places, in a shift in the understanding of the material basis or medium specificity of film from a photographic practice to a form of animation. This last maybe permits an expansion of the postmodern/New Wave text to take account of our apparent current interest in various forms of the undead, and most notably the emergence of the postmodern speed zombie. Neither of these representations seems satisfactory: the Golden Age is, as it were, too much future and in that sense doomed to fail, while the New Wave seems finally not a future at all. Both politics and religion have remained for the most part discreetly in the background, especially religion – which is odd to the extent that one of our continuing interests in the future is, I think, broadly redemptive (certainly notions of apocalypse and the post-apocalyptic, of things more or less shaped like the end of history or the end of the world have put in appearances). It’s perhaps worth opening the contrast a little further off its native ground by taking note of the evident difference between a modern stock market in which one invests for a future that must be awaited, and a postmodern stock market in which futures themselves become a primary commodity and one dreams – sometimes of course in real money – of a present profit made by strip-mining the contingency of the future. Our moment seems to be one that wants to read the phrase ‘the future is now’ – a phrase that I think goes back to the 1950s as a way of naming the new marvels of the present – as ‘now is the future,’ thus as a promise of no more marvels. The final event in the series on The Future at the David Roberts Art Foundation took place last Thursday, ending with a bang not a whimper. Presentations from Garin Dowd, IMCC affiliate Stephen Melville, and last minute guest Alev Adil covered Derrida and Deleuze, Beckett and Ballard, and resulted in a fiesty discussion about Thierry Henry‘s already infamous handball, as well as the dystopian/utopian virtues of Kraftwerk. We hope to post a selection of some of the papers from the series on this site soon. The first in the IMCC’s series of events on The Future at the David Roberts Art Foundation took place on November 5th, with talks on, among other topics, J.G. Ballard, imaging climate change, William Gibson and the 1956 This is Tomorrow exhibition leading to a vigorous discussion of science fiction and environmental politics. The next event is on November 12th, when susan pui san lok, Uriel Orlow, Sally O’Reilly and Niru Ratnam will debate whether ‘The Future is History’.